David is non-verbal, but he’s never let that get in the way of communicating with others. 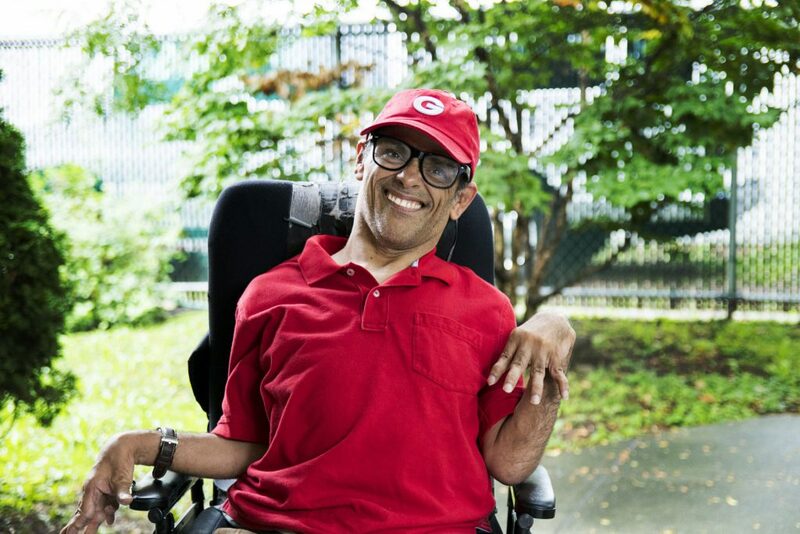 “David uses his communication device to indicate what he needs and wants,” said Vivian Romero-Gambrell, Assistant Program Coordinator at Heart-Share’s Hoffman Day Habilitation Program. Whether he’s running errands or visiting the Bronx Zoo, David likes to be social by vocalizing. David especially likes to show off his baseball cap, watch and shoes. “Even though he’s non-verbal doesn’t mean that he can’t communicate. He’s intelligent, alert – and definitely a fashionista!” said Manager Jackie Bristol, who has known David since he moved into Sharkey I Residence in 1995.